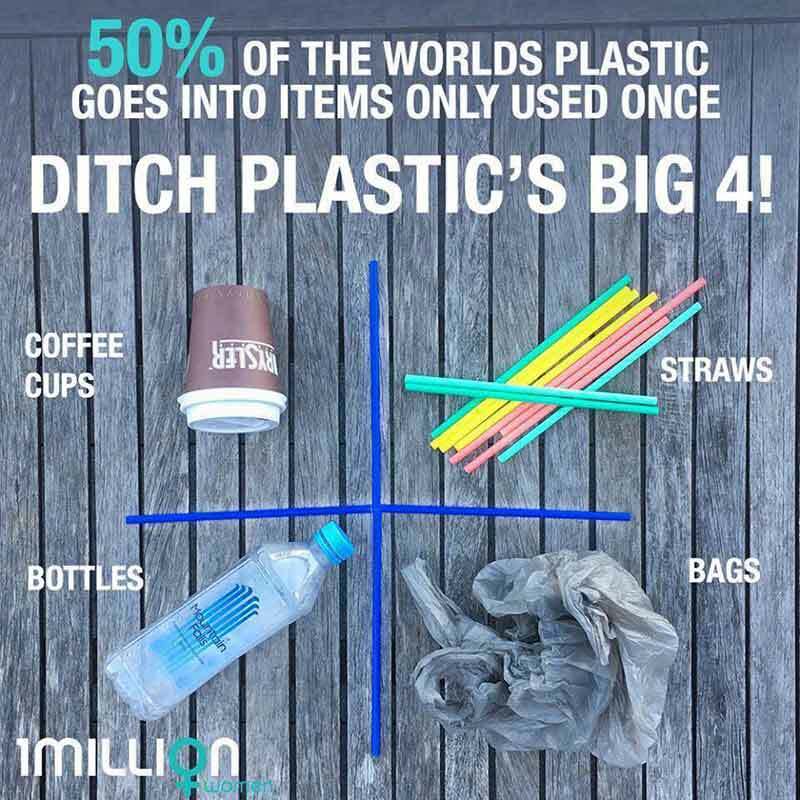 If you have been living under a rock for the last few months, you may be unaware that single use plastics are very much in the spotlight for all the wrong reasons. Due to a recent surge in awareness, coming from media channels around the globe, there is much wringing of hands and furrowed brows with tangible rising concern of what we can do to abate the plastic tsunami hitting our shores. From our little tropical island of Nusa Lembongan, we are more aware than ever, after a now viral video made at Manta Point by our dive buddy Mr Rich Horner hit the headlines. Since then we have been receiving regular emails from customers asking about the “plastic problem” and how it will affect their holiday watery pastimes. Now before I go on, I understand that you are probably already tired of hearing about it? Another blog ranting about “no straws” and plastic bags. It’s just the same old “tree huggers” spouting hyperbole and trying to save the planet right? Well… yes… and I will have a mini rant if you will allow, to illustrate how I came to this mindset. If you can tolerate the ramblings of this seafaring merman, you may be surprised that even I have started to see a glimmer of hope. Thankfully not an everyday occurrence, the image to the right is typical of the kind of plastic that finds its way into the oceans around the world. From disposable lighters to sticky labels and bits of bigger “stuff”, it’s all floating on the surface. 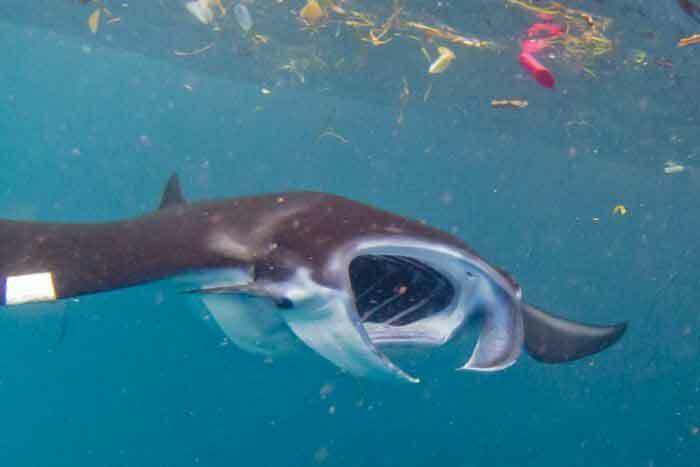 Here a feeding manta ray tries to avoid the pieces of plastic in the water whilst trying to filter the water near the surface for food. A 2017 study found that nearly 75% of deep-sea Atlantic fish have ingested plastic, polluting their bodies and passing the toxins up the food chain. At this time of year, there is a current change in the oceans around Bali. The movement of water in the Indonesian Throughflow means that currents from November to March wash in rubbish, typically not see during the rest of the year. We are not seeing plastic in the water every day and certainly not the dramatic amounts in Mr Horners video. But yes, plastic and waste does wash in from the Pacific Ocean and can be a shocking reminder of our disposable lifestyles. I, like a lot of people, used to look with despair at the flotsam and jetsam slowly drifting into and out of the various bays around our islands. Thinking back, I used to feel embarrassed. Embarrassed at the level of pollution; I use that term generically, that we were forced to dive in. Embarrassed that we had to take customers into that same water. After all, you work all year for your vacation and it should be as perfect as possible. So there we were, a lovely day on the boat when I overheard a comment not unlike some others… “This plastic is disgusting… someone should do something about it”. This was from someone drinking out of a non-reusable plastic bottle they brought with them onto the boat. I had a sudden realisation and rather than feeling embarrassed about the pollution in the water, I got angry. Angry at the vagueness of who this “somebody” should be, and angry with myself for not doing more to try stop this happening in the first place. I suggested that maybe the person involved could be drinking the free drinking water provided on the boat rather than purchasing small plastic bottles… At our Siren shop we offer free refills to anyone and not only our dive customers, through the RefillMyBottle initiative… After all, that would be one less plastic bottle to dispose of. A blank expression stared back at me… Obviously, they weren’t the “somebody” they were talking about. So who is this, “Somebody”? Due in part to the aforementioned video from Mr Horner, the Indonesian government and tourist boards are mobilising in clean up operations around all of Bali and the Nusa islands… Maybe this is the “Somebody”? European countries like Germany and Austria and leading the way in recycling with over 50% of household waste being recycled and many more countries are imposing strict new policies to reduce single use plastics. You can read more here… Are they the “Somebody”? Campaigns like Trash Hero and 4Ocean all raise awareness and invite people to come and help out in local clean up operations. 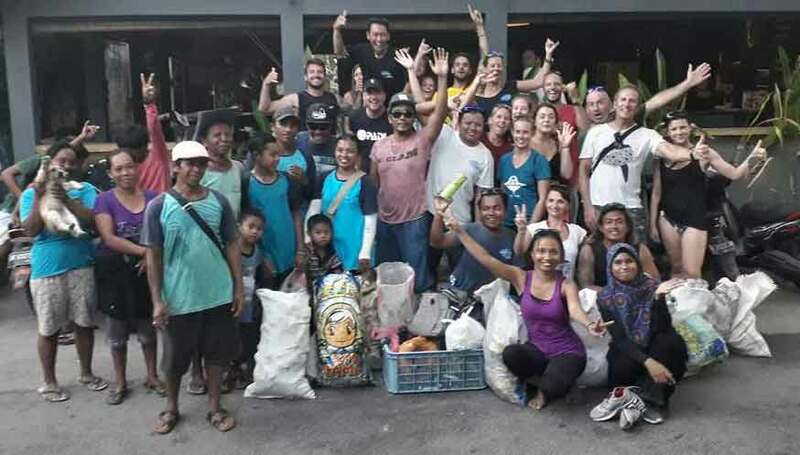 In fact, we have our very own Trash Hero Lembongan that we take part in every week… Maybe these people are the “Somebody”? With a little ingenious thinking, Saltwater Brewery in Florida had developed an “Edible Six-Pack Ring” made out of barley and wheat that is edible to animals and biodegradable. While you can argue that those grains are not a natural food for aquatic life, it’s got to be better than plastic and if consumers support products like this and vote with their wallets you can be sure other manufacturers will follow… Are these guys the “Somebody”? In recent news, it looks like mother nature has once again found a way to help us homo sapiens out. A plastic eating microbe, discovered in Japan, has evolved to eat plastic bottles. Scientists have taken this naturally occurring enzyme and “accidentally” turned it into a plastic munching pollution destroyer! Read more here… Maybe these scientists are the “Sombody”? Of course, you know where I’m going with this… We should ALL be the “somebody”. It sounds too easy, but taking your drinks without plastic straws and using reusable bags at the supermarket really does make a difference. From my personal experience, the number of discarded straws in the ocean around our islands seems to have reduced. If you go to the beach, take home just 2 pieces of litter. Walking in the park? Pickup just 2 pieces of trash. When you’re diving in the ocean, grab just 2 pieces of garbage. In the end, it will all make a difference. Don’t pass it by and rely on “somebody”! Previous PostDon't feed the fish!